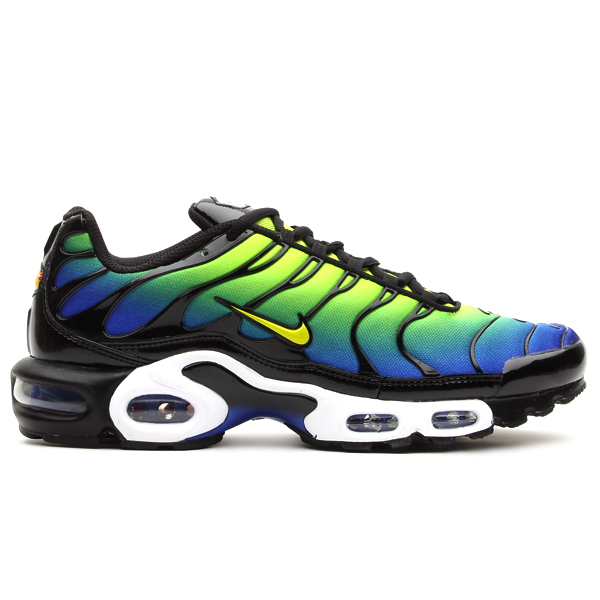 The classic Nike Air Max Plus returns in Hyper Blue / Cyber / Black. 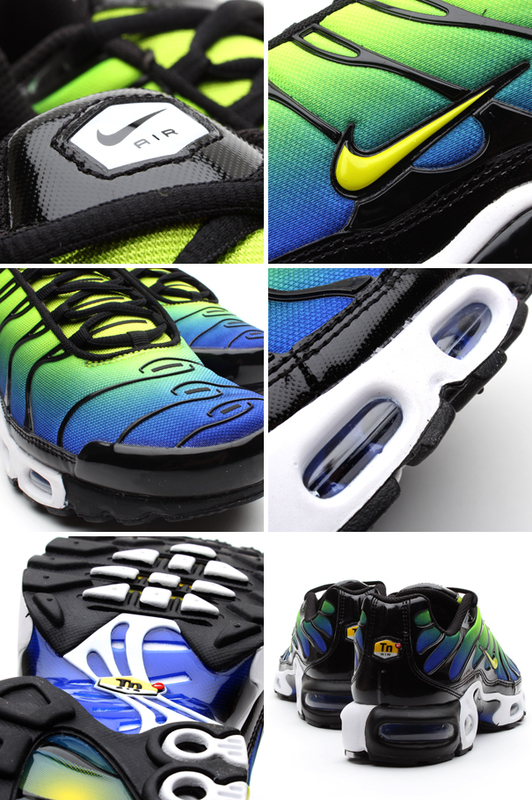 The classic Nike Air Max Plus returns this month in a set of new colorways, including the Hyper Blue / Cyber / Black offering pictured below. The retro runner features a gradient mesh upper, transitioning from cyber yellow to hyper blue, with black plastic support structures. The shoe's signature Tuned Air sole sits below in black, white and hyper blue. 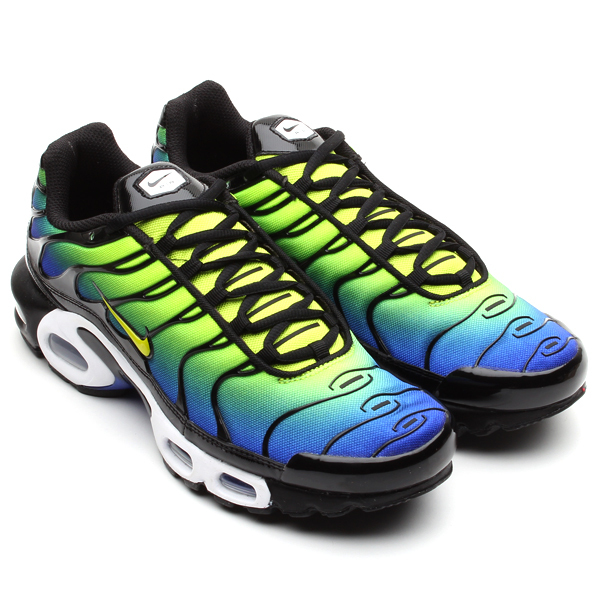 The Nike Air Max Plus in Hyper Blue / Cyber / Black will release on April 27 at select Nike Sportswear accounts, including atmos Tokyo.